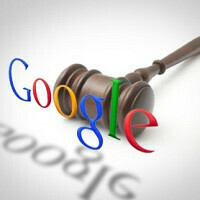 In a suit filed by the owner of an HTC EVO 3D smartphone, it is being alleged that Google’s business practices and restrictions on the Android operating system artificially inflated the price of his device. The lawsuit was filed in federal court in San Jose, California. The policies in question are related to the mobile application distribution agreements” (MADAs) that manufacturers have with Google, and they set the guidelines that need to be followed in order to use Android. The argument is akin to the Internet Explorer browser lawsuits that Microsoft contended with years ago. Except in this case, it is not just about “search” but Google’s whole suite of apps, from Drive, to Google Play, to YouTube. In so doing, Google has “illegally monopolized” the internet. We will not dive in to the legalese, but suspect that the MADAs have been scrutinized by armies of attorneys for Google and the manufacturers. Since we have seen the Android Open Source Project be the foundation of products like Amazon’s Kindle Fire HD tablets, perhaps a forthcoming smartphone, and Nokia’s new line of X phones, it will be interesting to see what direction this lawsuit turns. Anything for a quick buck, right? Apparently it's "anti-competitive" to be quicker on the draw than your competitors and to take advantage of an exploding smartphone market. I guess I'd feel sorry for those competitors if their names weren't "Microsoft" and "Yahoo." I wouldn't be surprised if they were behind this lawsuit. Its not like the OEMS and carriers don't put their crap on the Android phones as well. This will never fly. Anyone can download the source code compile it yourself and with a little know how, you can install you own version of Android. Install your own apps from the numerous other Android app stores. Or just make your own. sgodsell, that argument didn't help MS at all with their IE case. As with a pc, which has even less restrictions than a phone. Was able to install ANY OS you wanted on it. Yet they got in trouble for the same thing. The User has always had the power in the pc world, yet MS went through the same thing. You forgot to mention Microsoft caught bribing OEMS with a little incentive to put Windows on all the PCs. The other thing you forgot to mention is that Microsoft just decided to pay the billion dollar fine set by the EU, and leave IE exactly the way is. This really is completely different. Everyone has access to the Android code. With all Windows OS's you are at the mercy of Microsoft and no one else. Hey look at Microsoft and Nokia made not 1, but 3 Nokia X phones running Microsoft's version of Android, and only running Microsoft's apps and services, without any of Google's apps and services to be found on any of the Nokia X phones. I thought the issue with MS was Windows + IE and other browsers and not the OS... To install an entirely different OS for browser use or better browser use is kinda crazy. I dont remember that. I used Netscape almost exclusively back then....saw no issues. Expect maybe with Java. Now....maybe that was part of the problem....different browsers had issues with web content vs IE. MS had their own Java for IE, Netscape used the universal one. P.S just a greedy guy who just wants money and attention. While I am a big fan of Android, I am not a fan of Google taking over my phone and infesting it with all their spyware / data theft code (aka 'apps and services'). Ideally, there should be a simple way for any Android customer to delete Google's apps / services from their phone. It shouldn't require root or anything special, just selecting some setting and confirming. I don't know what this lawsuit will accomplish, but if it helps to give the user more choice about what apps/services are on their phone, then it is a good thing. well, if someone does not want that on the phone then someone should not buy the phone...CAPICHE? The issue is that someone is buying a phone from Samsung, HTC, etc. When they buy the phone, they don't know about these agreements beween Samsung, HTC, etc. and Google. They don't know their ability to determine what they want / don't want on their phone has been severely compromised by these agreements. This is not dissimilar from Microsoft integrating IE into Windows -- something that they got in anti-trust trouble for. Now Google is integrating their apps/services into Android and removing consumer choice, just as Microsoft did. Thankfully with root, the power user still has some choice. But this lawsuit is about the average consumer, not the power user. Buy Blackberry then, I never heard of Blackberry spying users. In case you haven't noticed, Google apps make up what Android is today. Without Google Play, Maps, YouTube, Android would not have gained the reputation it has today. I'm aware of the fact that Google could not load these apps and expect consumers to sideload alternative apps but then users will just complain and accuse android of not coming with basic features. SOo"monopolizing" isn't that big a deal (Win-Win situation). I dont see anyone saying they prefer 1mobile to Google Play. And if you really don't like Google apps (I really don't know why) don't use them. Its not like they collect data without your consent. I think the main issue with the lawsuit is the removal of consumer choice and Google's use of these agreements to achieve/maintain monopoly power. If the consumer had a choice during phone setup, "Install Google Apps and Services" and chose to do so, then all the normal Google apps would be downloaded/installed. If not, then no Google stuff. The user could choose what apps they want, picking no Google apps or even picking some subset of the Google apps. Google's apps and services do collect data without the user's consent. There is no documentation of what data these apps collect, how long it is stored, who it is distributed to, etc.There's not even any documentation for what is actually running on the phone and what it does. I get your point, but the thing is there is no way to not have data collected on you, unless you go off the grid. And even if you were to stay offline, they know things about you by what magazines or newspapers you subscribe to, what TV shows you watch, what charities you give to, etc. Calling out Google for collecting data is like calling one person an idiot in a room full of idiots. I don't have choices? I can go to the Amazon App Store thus removing Play Store Need. I can use Touchdown and not use Googles Email Client. Then I can install Dolphin or Skyfire eliminating Chrome need. I can select a variety if Map Apps and never use Google Maps. Point of my rambling you can select a lot of different apps and not touch a Google App. At the end of the day you don't like a product by something different, No one made you buy an Android Point, if you like Samsung or HTC then get a Windows Phone. Next let's file a lawsuit on Apple because I can only use iOS. Exactly, why hasn't anyone sued Apple for not being able to say buy an Asus or Dell machine with Apple's OS on it. Monopoly!!! Monopoly!!! There are plenty of things that aren't available together. Should we sue because we can't get a Prius with a Hemi? Or a Challenger with a hybrid motor? People act like they're entitled to have everything they want exactly how they want it. I used to think that way, then I turned 10. Grow up people. Actually I'm sort of wondering why no has sued Apple for the same thing. They'd be a much more likely target considering they force consumers to use iTunes, force the app store and force payments through their own system. They have a lockdown on apps, browsers ect. Uh, no. During setup you have to agree to it. And later on you can control it via google settings. Stop being an ignorant lawyer like those idiots are. You are free to search with whoever you want to on the phone, period. Brilliant ... another rare intelligent and mature post around here ... but back to the subject; even the CEOs of the manufacturers acknowledge (publicly or not) that it is a competition of ecosystems not devices. The funny thing is that these other OEMs come with even more junk - take Samsung on AT&T It has a ton of junk apps. At least with the Nexus 5, it comes with Google apps that have a use. I agree. When I bought my Note 3 via ATT, it was loaded with crap. I was dismayed as all of this crap was using up about 1GB RAM on my new 3GB device. Just as I see the *potential* benefit of this lawsuit, I see the potential benefits of lawsuits regarding bloatware. The consumer should be able to easily and permanently delete it -- or ideally, have the choice to not install it in the first place. First of all from all your other posts. Any time you get the chance to cut up Android then you do it. As far as choice of what is put on the phone. OEMS also load up their stuff. Not to mention carriers also put their stuff on the devices as well. This has always been the way with Android, because its free and open. The part that isn't open is Googles apps and services. Some manufacturers right now don't use Google's apps or services. You bring up Microsoft and the browser IE. Microsoft in the end decided to give in and pay the billion dollar lawsuit instead of allowing the needed changes. IE to this day is still tightly woven into all of Microsoft's Windows OS's including WP. The same cannot be said for Android and the chrome browser. If fact the only browsers not on Android are Safari and IE. Even Microsoft and Nokia made 3 Android type phones with no Google apps or services. This lawsuit has no chance of winning.